Abundance or Scarcity? Age of Wonderland Designers’ new concepts. Most designers are determined to make this world a better place. Trained to analyse complex problems and people’s needs, they are used to develop new solutions that are desirable, sustainable, and fit for purpose. We need these competences to tackle our major challenges such as Feeding the world within planetairy boundaries, and Climate Change. In a world where abundance and scarcity co-exist, we need Design Thinking to come up with new products that work, people like, are sustainable from financial, environmental and social perspectives. At the Dutch Design Week in Eindhoven designers are offered a stage to share their ideas to shape the world. 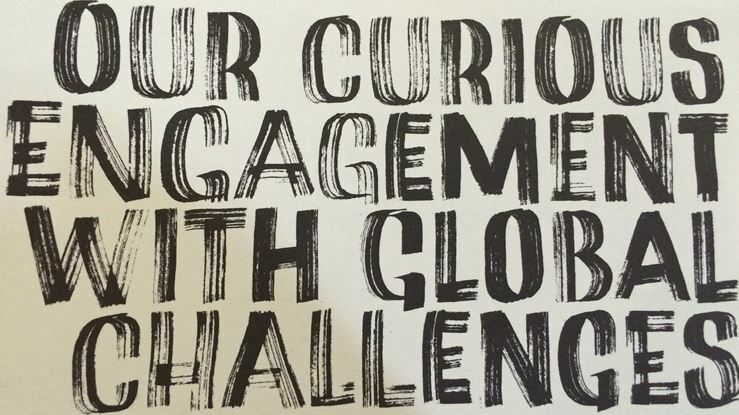 One of the programs is ‘Age of Wonderland’, a social innovation program developed by Hivos and Baltan Laboratories. Each year six young creatives are invited to The Netherlands to develop their projects working with Dutch artists and companies. 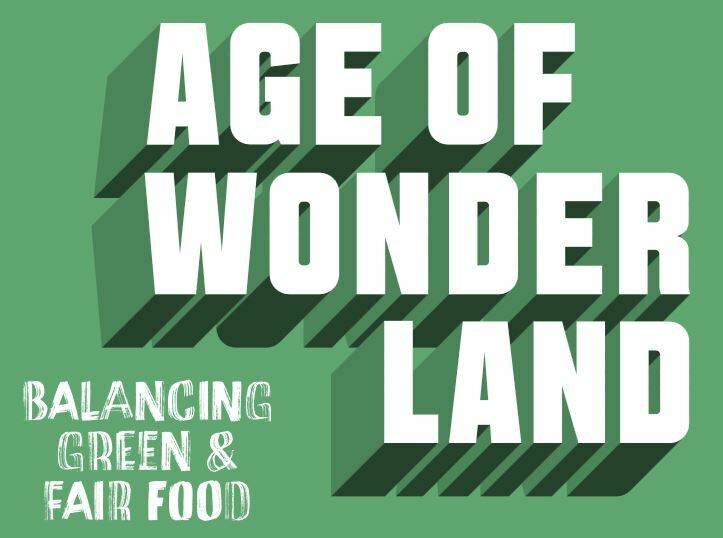 This years theme is ‘Balancing green & fair food’. 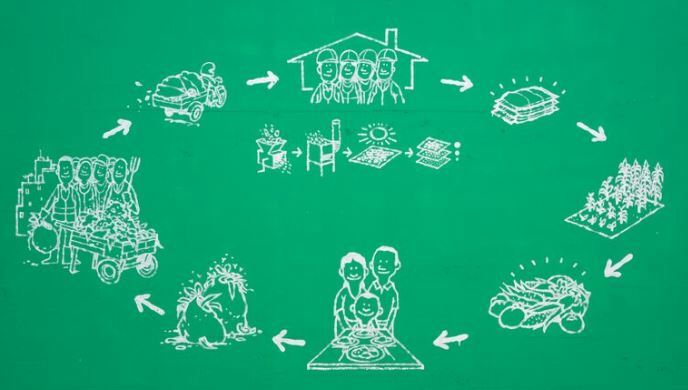 The abundance of waste at one side, and scarcity of food and drink water have inspired Ahadi Katera from Tanzania and Achmad Fadillah from Indonesia to develop new concepts. Ahadi Katera, industrial engineering student from Dar es Salaam University, co-founded the social enterprise Guavay that collects organic waste and makes fertilizer from it using new ways. 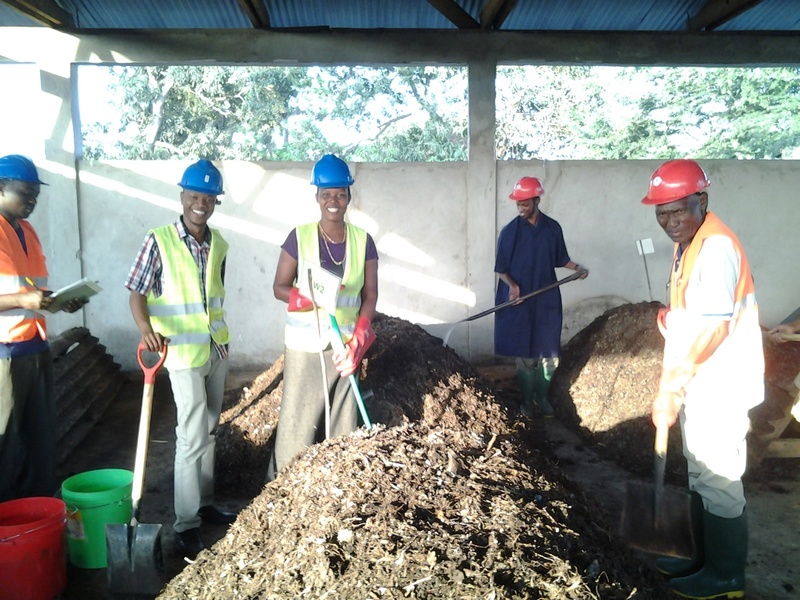 The venture uses both fermentation and composting to get nutrient rich fertilizers. Katera explains: ‘With a group of students we interviewed people in different neighbourhoods of Dar es Salaam. We observed a couple of challenges: 40% of the waste streams consists of organic waste: vegetables, fruits, eggs, bread. Most organic waste ends up on landfill, as the recycling industry is not full grown. Households produce on average 2kg of waste every day, and huge local food markets produce no less than 20 tons a day. At the same time, a few kilometres away, farmers badly need additives and nutrients to prepare the soil to grow new crops. There was clearly an opportunity here’. Katera and his team developed a system to collect and treat waste streams all the way from supermarkets and households. The venture created a potential to scale up process for converting of the collected vegetables, fruits and egg shells into fertilizer. The process takes approximately 15 days at the moment, and still being tested to shorten this period. The venture currently employs 4 people with a manager from the local community, people well-connected with government and enterprises. The fertilizer is being sold to farmers and florists. His visit in the Netherlands has brought new insights in waste collection, separation and composting systems to the African venture and also built interest to research on other potential products that can be made from organic waste, like liquid soap for dish and laundry washing and organic leather bags. In return, Katera brought to the Dutch community grass roots experience, a deep understanding of local issues prompting the best possible solutions suiting the local situation, contributing to the lives of all people involved. Interested in more? Meet Katera October 25th at his workshop in Eindhoven. One of the other Age of Wonderland 2015 creatives is Achmad Fadillah. Fadil is leading an industrial design practice in Bandung. Fadil is member of ADPII (Indonesia Alliance of Industrial Designers) and graduate from Industrial Design, Bandung Institute of Technology (Indonesia) and Scuola Politecnica di Design, Milan (Italy). Worried about the growing pollution of soil and water due to water bottles waste streams, he is exploring ways to re-use the bottles as toys. Fadil: ‘In Indonesia, people have no clean tap drink water available. Most people use bottled water. I saw with my own eyes how our environment is suffering from the plastic bottle waste. Why don’t we just re-use them for other things? Consumers don’t know what to do else than throw away the bottles. It seems there are not any plastic bottles that is easy to re-use’. 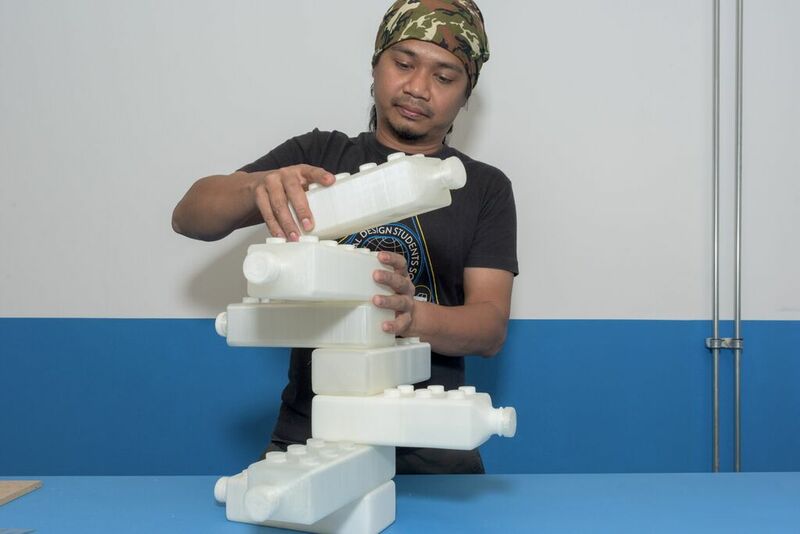 Fadil developed a prototype water bottle that can also be used as a toy or a brick. From the bottle-bricks new forms can be made such as towers, bridges, or, why not, refugee homes. The new type of bottles with an obvious 2nd life, 3D printed from ABS, are expected to motivate consumers not to throw away the bottle. Working with Dutch designers has taught Fadil more about new possibilities for influencing user behavior. Fadil brought nnew inspiration to European designers who search for new ‘after-functions’ or ‘second-lives’ that could be both useful and fun, after products has served their primary function. Fadil wants to continue his research in cooperation with a company that produces plastic bottles, or uses plastic packaging. if you want to know more, join Fadil Friday 23rd of October at his workshop in Eindhoven. It is great to see and learn from the journeys of the Age of Wonderland designers. Successfully addressing societal issues requires on the ground, grass roots knowledge and determined people: people who won’t rest before realising the right product or system that will solve the problems – best fit for purpose, desirable and sustainable.